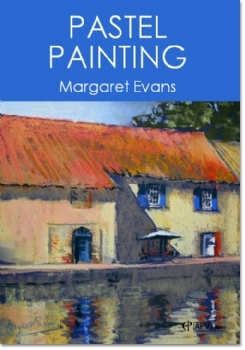 Margaret Evans is renowned for her pastel painting and in this new DVD � Pastel Painting � she explores the variations in light between France and Scotland. We meet her first in her Scottish studio where she shows us the papers and pastels she uses, explaining how she prepares her own supports with a gritty primer. She begins her en plein air painting by the Canal du Midi in south-west France, tackling several river barges and their reflections against a background of trees. 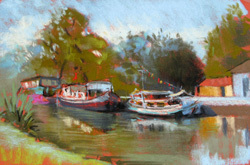 Margaret uses a Cont� stick for drawing the boats, before establishing the lightest and darkest areas of her subject with bold colour. Moving to another section of the canal, she makes a quick watercolour sketch of some canal-side cottages for later development in pastel. Her next subject is a quaint conical- roofed windmill. 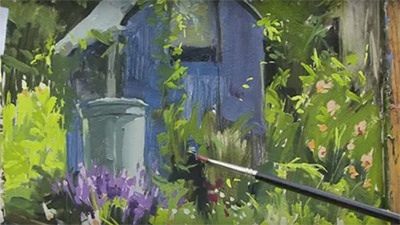 Blocking in the main areas of colour with strong gouache washes, she applies her bright pastel colours boldly and effectively once the paper is dry. 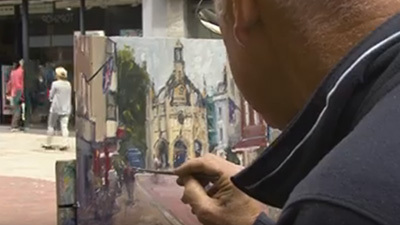 She then tackles a street corner scene in a little French village using a sombre purple support and working quickly to produce a rough sketch for later development in the studio. We now return to the cooler colours of Scotland, where her subject is the spectacular scenery of Glencoe. She captures the brooding beauty of the glen with strong tonal contrasts and well chosen colours. Pastel is a delightful medium that will allow immense scope in technique, leading to strong, expressive results. 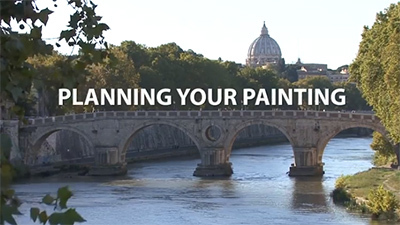 In her latest film, PASTEL PAINTING, accomplished artist and popular tutor, Margaret Evans, explores a number of interesting and reliable pastel painting methods, covering both location and studio work. 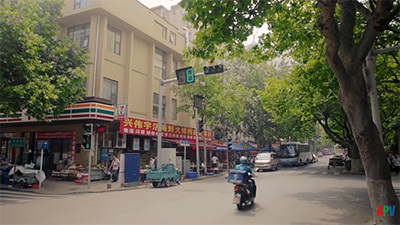 The film begins at Margaret�s studio in Scotland, where she discusses the various materials available for pastel painting and how these create different opportunities for interpreting ideas in an interesting and successful way. 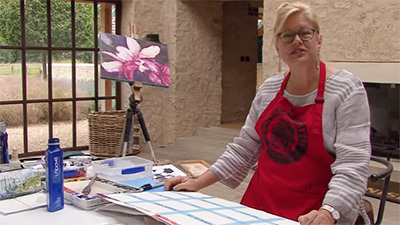 Margaret then travels to south-west France, to locations along the Canal du Midi, where she paints and sketches a number of subjects, including boats on the canal, and a windmill. 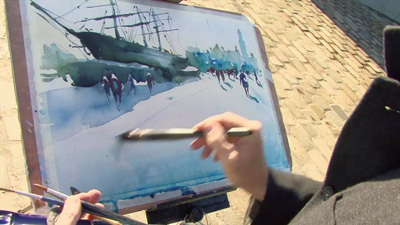 She uses different types of paper and painting methods, showing, for example, techniques using pastel applied over an underpainting made with gouache. The demonstrations are supported with lots of sound advice and ideas. 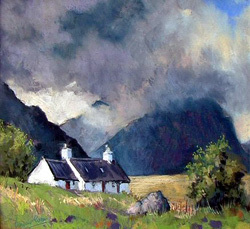 Returning to Scotland and its contrasting light effects, Margaret captures the dramatic atmosphere of Glencoe, in two skilful, evocative paintings. 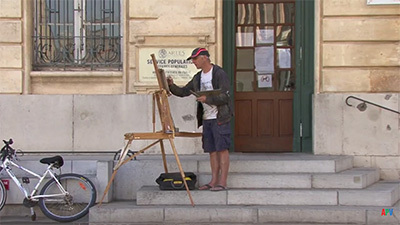 Finally, back in the studio, she shows how to evaluate and improve paintings made on locations, and how to work effectively from reference sketches.